The American experience is brought to life through the eyes of Irena, a seventeen-year-old Slovenian peasant who immigrates to the US in 1892. The American dream is not easy for Irena to attain. Irena is first plunged into the deadly cattle wars of Wyoming where rich cattle owners classify poorer ranchers as thieves, leading to deadly conflicts. Irena is forced to leave Wyoming and travel to Chicago where she and her new Irish husband are reduced to working and living in the abysmal conditions of meat packers. They finally travel to Colorado to make their way in Durango, still poor and struggling, but hopeful of finding a place to call home. Though the history is accurately described without romanticizing the time, the true lure of the book is the relatability of Irena’s story. Irena is just an ordinary looking girl with domestic skills who grows stronger and more resilient through meeting the challenges of a new life in the US. She struggles with what it means to be a woman, a sister, and a wife. She finds her traditional belief’s and societal roles challenged. Her battles with jealously, self-doubt and marginalization will resonate with the modern reader. Her ability to build relationships with others will inspire. Irena’s story, while realistic, is also hopeful. She loves with all her heart and hopes even in the darkest of times. 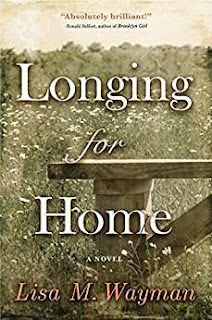 “Longing for Home” honors the author’s Irish and Slovenian immigrant ancestors through exploration of the challenges and triumphs of the time and the people who braved to risk so much for the American dream.